Here at Royal Garden® we see ourselves as pioneers in the outdoor living industry and one of our most unique and market leading technologies is our Thermosint® Coating. 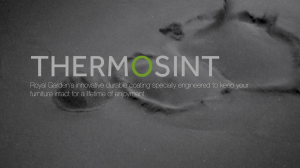 A product which is treated with our Thermosint® Coating allows us to provide that product with a 5 Year Warranty which can withstand most weather conditions and provide all weather protection*. Unlike many other treatment processes Thermosint® Coating involves the products being heated and dipped directly into a solution of high quality PVC and metallic particles which causes the metallic particles to melt and bake onto the product, which results in a coating approximately 0.5-0.6mm thick. 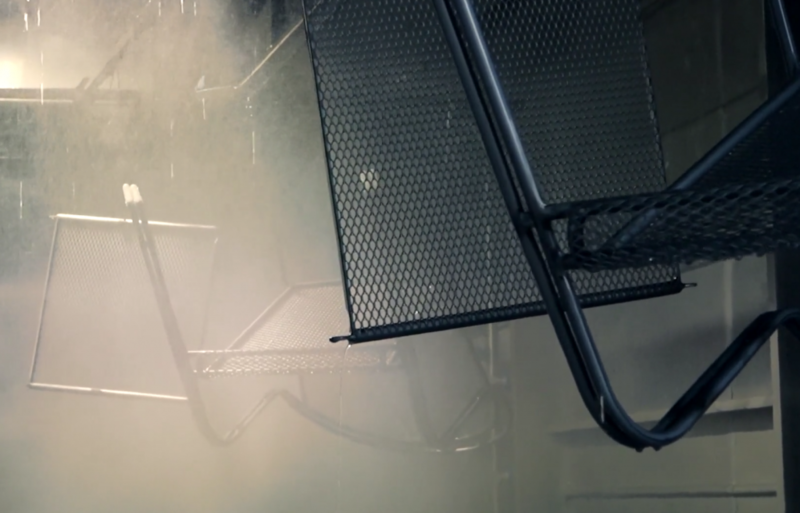 By coating a product using a Thermosint® Coating it means that is can be up to 10 times stronger that a standard powder coating. 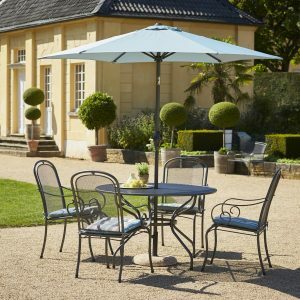 In addition to the Thermosint® Coating protective qualities it also acts as a temperature stabiliser, so if the furniture is left out in direct sunlight it will not become dangerously hot. 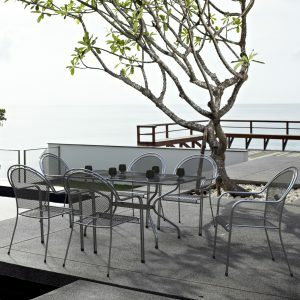 Furniture with a Thermosint® Coating is almost completely maintenance free, long lasting and completely weatherproof to a minimum of 5 years as per the warranty.